The wait is over! BMW has officially launched the much-awaited G310R & G310GS in India. Both bikes are powered are a 313cc engine, which develops maximum power of 34 HP with maximum torque of 28 NM. The company cliamed top speed is 143 kmh and approx. mileage is 30 kmpl. 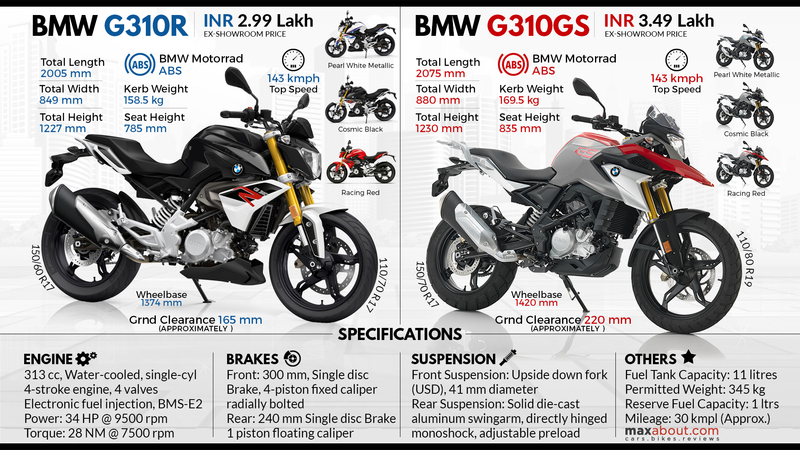 The G310 series will be sold via exclusive BMW-Motorrad dealerships in India. At present, as per the listing on the official BMW-Motorrad website, the brand has 7 exclusive bike dealerships in India. Click here to view the complete list of BMW-Motorrad dealers and service centres in India. Downloaded 64 times this week.